E-commerce prices are lower than in-store prices, says GfK. Although traditional stores dominate, more and more South African consumers are choosing to buy technical goods online. This is according to a study by Growth from Knowledge (GfK) titled, E-commerce 360: Navigating the Technical Goods E-Commerce Market in South Africa. The report fuses two GfK product suites to provide a holistic view of the e-commerce market, with a focus on technical consumer goods. The first product suite is GfK's retail point-of-sale tracking data and the second is GfK's FutureBuy data (from online interviews with 2 000 Internet-connected South African consumers). Though they dominate the market, traditional stores are not growing the value of the sales they generate in technical goods as quickly as the digital players, says GfK. E-commerce retailers are seeing strong growth in smartphones, panel televisions, small domestic appliances, gaming consoles and laptops, it adds. The report reveals e-commerce retailers grew their share of the South African technical consumer goods market by 52% in 2017, accounting for 6.9% of total consumer spending by rand value for the year. This means they have nearly doubled their share of the market since 2015, says the study. Survey respondents cited better prices, attractive promotions and wide product selections as major reasons for shopping online rather than at a traditional store, it notes. By contrast, experiential factors, such as getting to see and feel goods, motivates shoppers to visit physical stores, says the study. GfK South Africa's point-of-sale data indicates that the consumer perception that e-commerce prices are lower than in-store prices is accurate: more than two-thirds of the top 100 sellers among technical goods products in SA are cheaper at digital stores, compared to physical retailers, notes the report. Across the top 100 products, online prices are an average of 4.7% cheaper, says GfK. 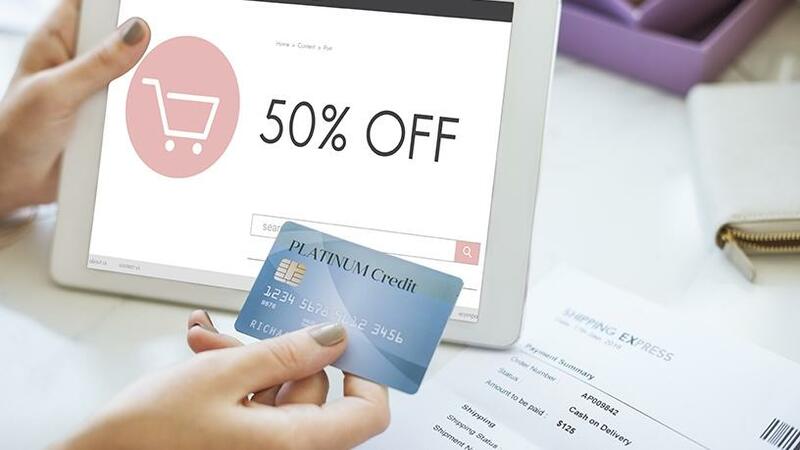 Meanwhile, 45% of connected consumers in the survey claimed to increasingly use the Internet to buy products online compared to the previous year. "However, a consumer journey often straddles both physical and digital channels, meaning that the most successful retailers should have an omni-channel strategy," says Odette Jardim, a client solutions manager for GfK SA. According to Cherelle Laubscher, senior retail manager for GfK SA: "E-commerce in SA is still in its infancy compared to European markets, where a quarter of technical goods spending goes through digital channels. "However, growth in South Africa is strong and shows no signs of declining as bargain-seekers flock online to buy technical consumer goods like smartphones, IT, consumer electronics, and major home appliances." In the overall South African ecommerce market, 26.3 million users are expected to be shopping online by 2022, says Statista. Revenue across all product categories is expected to show an annual growth rate (2018 to 2022) of 13.7%, resulting in a market volume of $5.2 billion by 2022, it adds. Electronics and media will still be the most purchased online category, with an estimated value of $1 million in 2018, notes Statista. A World Wide Worx report, Online Retail in South Africa 2016, found online retail grew 26% in 2015 and was worth around R7.5 billion in that year. Forecasts by World Wide Worx for the next five years showed online retail sales almost exactly doubling from 2016 to 2020. The ongoing emergence and expansion of flexible payment methods is boosting e-commerce in SA, says a Euromonitor International report. Consumers have seen online payment methods becoming simpler, encouraging them to shop online, it adds. Meanwhile, Vincent Hoogduijn, CEO of e-commerce at Media24, says the increasing smartphone penetration in SA will contribute to online shopping growth. This is not only because it gives users easy access to the sites, but people become used to the digital mobile environment and are therefore more trusting of various digital payment options, he adds. Takealot Online led Internet retailing in value terms in 2017, says Euromonitor International. The company has evolved and continued to grow by opening and expanding its warehouses in Cape Town and Johannesburg, it observes.